Today there has been a tremendous short covering in nifty from the bottom gaining 171.80(+3.62%). Also the shorter term trend had finally turned to buy mode after a month long. 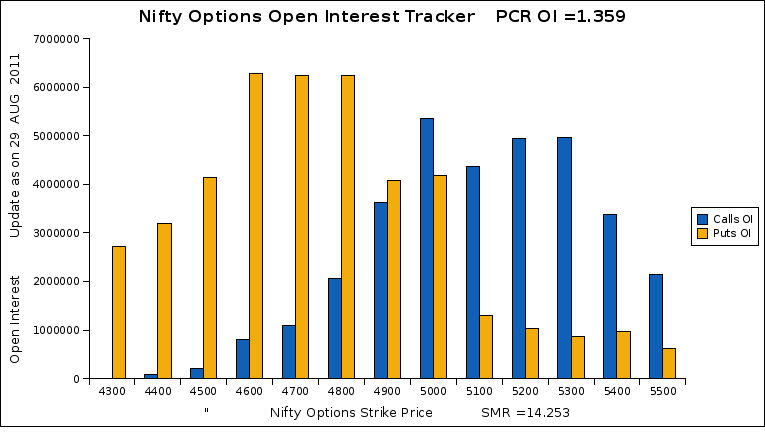 Open Interest builtup is equally seen higher in 4600PE, 4700PE, 4800PE strike prices indicates the rude optimism of Put writers. 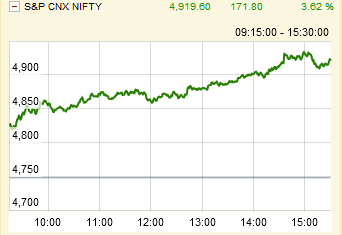 Looking into that optimism nifty could test 5000 easily on intraday basis.